Ah, 1971, the good old days when nobody, except for a small group of attorneys and judges, even knew that “intellectual property”(IP) referred to copyrights, patents and trademarks. More importantly, back in 1971, consumers had no means of infringing intellectual property unless they owned a record pressing plant, a printing press, a film processing machine, or some other manufacturing device. Flash forward to 2011 and anyone with a smart phone can copy Nolo books, podcasts and Nolo videos. Intellectual property law has changed so dramatically in the past 40 years that documenting all of the major changes would take a week’s worth of blogs. So, we’re going to just focus on five big changes to IP laws that affected Nolo. Public Domain and the Never-Ending Copyright. 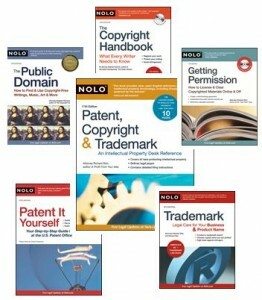 In 1971, when Nolo was founded, the copyright in a Nolo book usually lasted an average of 56 years. But the 1976 Copyright Act initiated a new formula – copyright for the life of the author plus 50 years. For a Nolo author, that could mean that copyright in a book—for example, Patent It Yourself—could last longer than a century. In 1998, spurred on by the Disney Company and its aging mascot Mickey Mouse, the U.S. passed the Sonny Bono Copyright Term Extension Act which extended protection further (life of the author plus 70 years). One effect of this extension – which was challenged and upheld by the courts – is that for a twenty-year period ending January 1, 2019, no new works will fall into the public domain in the U.S.
Fair Use Defined. Five years after Nolo was founded, the U.S. overhauled its copyright law and included a historic first – a section defining fair use and establishing four factors to determine whether an infringement was excused as a fair use. The Supreme Court subsequently reshaped that provision twice. (1984) The Court ruled in the Betamax decision — thanks to some helpful testimony by TV’s Mr. Rogers—that recording television shows off the air for purposes of later viewing (time-shifting) was a fair use. That was also the first time that the Supreme Court said that copying of a complete work (not just a snippet) was okay. It was also the first copyright case to touch a popular nerve. The Supreme Court received a record number of “friends of the court” briefs (non-parties expressing an interest in the case), and the nascent video industry rallied Betamax owners to lobby their elected officials to prevent legislation that would have nullified the Court’s ruling. The Betamax case was a precursor of the battles over digital copying, most noticeably the Napster case. (1994) The Supreme Court held in Campbell v. Acuff-Rose Music Inc. that 2 Live Crew’s parody of Roy Orbison’s song, “Pretty Woman,” was a fair use. Prior to this ruling, most courts weighed the four fair use factors and placed the most emphasis on the “money” factor — the effect of the use upon the potential market. But in Campbell, the court mandated that it was the first factor –purpose and character of the use — that was most important. The question to be asked according to Campbell was whether the material taken from the original work was transformed by adding new expression or meaning, by creating new information, new aesthetics, new insights, or new understandings (sometimes referred to as the “transformative factor”). In a recent dispute where Nolo was threatened with a lawsuit over use of an image, Nolo was able to negotiate a settlement by asserting rights under the Supreme Court’s “transformative” standard. The Intent-To-Use Trademark. Prior to 1998, there was no way for a company developing a new product to reserve a federal trademark. But the Trademark Law Revision Act of 1988 changed that and for the first time permitted applicants to “reserve” a trademark based on a bona fide intent to use the mark in the future. The new applications (dubbed “1b applications” or “intent-to-use applications” or simply ITUs) made it possible for Nolo to reserve one of its marks for a new software product. Cybersquatters beware. Speaking of trademarks, Nolo was also able to take advantage of another change in trademark law – passage of the Anticybersquatting Consumer Protection Act in 1999. That law enabled Nolo to successfully challenge a Nolo domain name being used in bad faith to siphon web surfers who sought out Nolo but ended up at another site. In another domain name dispute, Nolo was able to successfully use the international arbitration procedures managed by the Internet Corporation for Assigned Names and Numbers (ICANN). The Provisional Patent Application. At the time Nolo was founded, if you had invented something but you weren’t ready to file a patent application, there was no effective, fast and cheap way to record your discovery at the United States Patent and Trademark Office (USPTO). Then, in 1995, President Clinton signed a law that allowed inventors to file a provisional patent application (PPA) – a simple document consisting of text and drawings that describes how to make and use an invention. Once the inventor sends it to the USPTO, the inventor establishes an effective filing date for the invention and can use the “patent pending” label on the invention—at least for 12 months from the filing date, at which point a regular patent application must be filed. In 2009, Nolo created an online procedure to simplify PPA filing. As a result, hundreds of PPAs have been filed electronically using Nolo’s system.